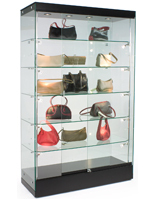 This illuminated 36-inch frameless display cabinet offer stylish high visibility and brilliant interior lighting while keeping contents secure. 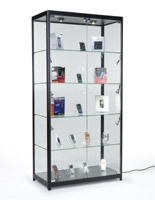 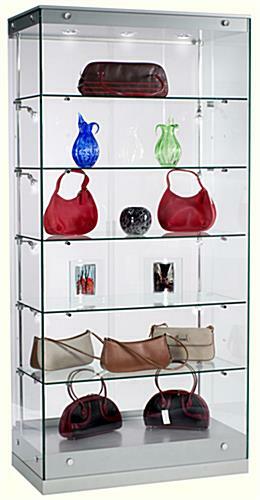 Each full size showcase is 76 tall, with a black finish MDF top and base and tempered glass body and shelves. 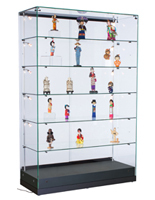 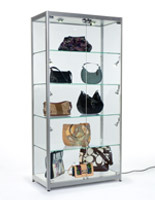 This 36-inch frameless display cabinet with built-in lighting features 3 top lights and 10 adjustable-swivel side lights for maximum illumination of retail merchandise, collectibles, trophies, awards, and samples. 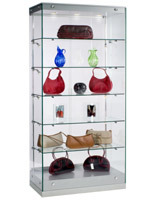 This high visibility merchandising fixture has 5 shelves that are easily adjusted to accommodate a variety of sizes, making it a great choice for stores, galleries, schools, or corporate and professional offices. 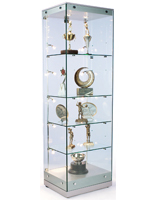 This commercial quality tempered glass frameless display cabinet is made of impact-resistant safety glass for increased security in public environments. 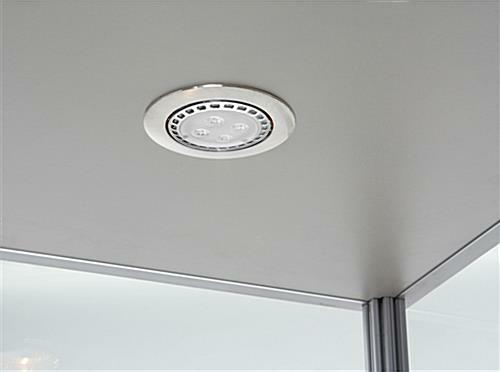 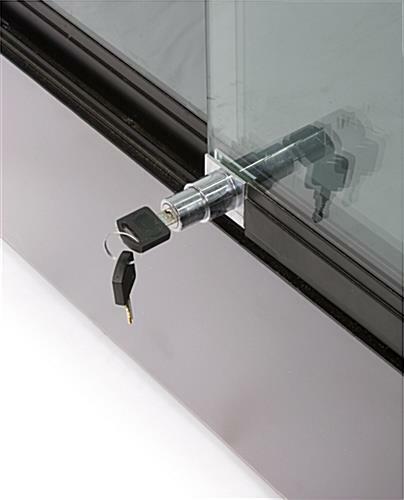 Two sliding access doors are secured with a sturdy plunger lock to ensure contents are safe from damage, dust, tampering or theft even in high traffic locations.